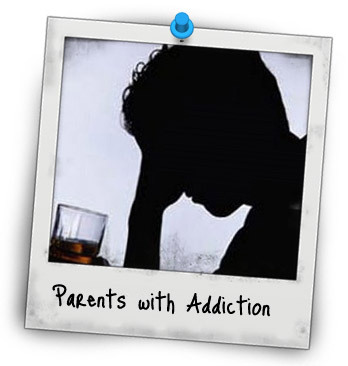 A reader writes in asking for guidance in how to raise children in a situation where one of the parents is in active addiction. Amanda Lee introduces the reader to the concept that alcoholism does not only affect the alcoholic, but is actually a family disease and touches all of those in its vicinity. I am mom to a 14 year old, who — on her birthday 7 weeks ago — conspired with her actively consuming functional alcoholic dad and did not return after a typical weekend visit and announced she wanted to live with him. The decision and timing was undoubtedly choreographed by her Dad, and being her rebellious teen self, she jumped in and agreed to change schools (from an excellent program to a lesser school in her Dad’s neighborhood) as well. Now she is regretting her decision and wants to return to live with me. She has been reaching out to me so much and finally said, “I hate it here. I want to move back home. But if I do, daddy will literally kill himself.” She was crying. What can I do to support her? Thank you for your courage to share your situation and reach out. It can be terribly challenging to know how to support children amidst the turmoil of an alcoholic family member in active addiction. As parents we can fall easily into the trap of wanting to solve situations our children have created for themselves. When facing a dynamic wherein one of the main factors is an alcoholic; the focus first needs to be on where you are in your sense of centeredness and well-being. Alcoholism is a family disease. When we live with the disease of alcoholism it grown tentacles and attaches to everything around it. People who are close to the alcoholic begin to change their behavior. Sometimes placating the alcoholic to manipulate them into doing what we want, other times trying to intimidate or shame the alcoholic into managing their disease. At the end of the day whether you try to Manage, Martyr, Manipulate or Mother the alcoholic there is NO WAY you can control the disease of alcoholism. Unfortunately, when we have become sick, ourselves, from all of the efforts needed to live with active addiction it is very difficult to stop our own behavior. You can’t help others until you help yourself. How often have you heard that said? What exactly does it mean as it relates to alcoholism? It means first to ensure that you are safe, of course. 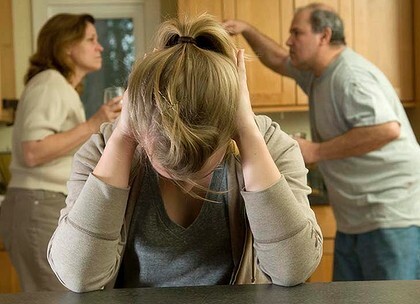 From your story it sounds to me that you are no longer living with your daughter’s father. However, is your daughter safe? Going to the recovery fellowship for families and friends of alcoholics, called Alanon, has been a great resource and source of strength for many people. There comes a time when we’re confronted with the realization that things have become so unmanageable that only something outside of ourselves can relieve us of the disease of alcoholism. I believe this means depending upon the experience, strength and hope of others who have been through similar situations and have seen their lives transformed through living a life based on a plan for living that really works. The best way I can support my children affected by the disease of alcoholism is to first tackle how this disease has affected me. Through working a solid program of recovery and shifting the focus onto your own well-being there are ripples created, which then inspire others to perhaps do the same. There is a wonderful recovery fellowship for teens whose family members are alcoholics or addicts called Alateen, where your daughter can explore options for her own recovery. Sometimes being present and “holding the basket” for another person is the most powerful service we can provide; truly listening without judgement or advice giving. You do not have to personally change a situation for another person for it to become better. We must each walk our pathway of growth, no one can do it for us. May your journey and that of your daughter be one of healing and serenity.